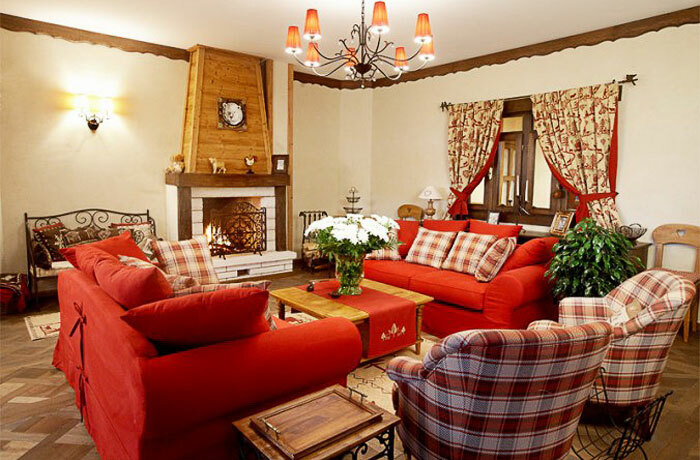 We would like to offer you a nice vacation in the atmosphere of a cozy farm chalet and the comfort of a royal palace! 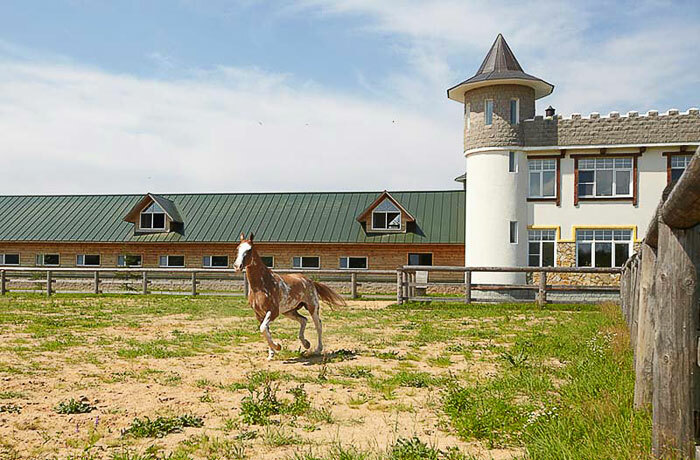 Farm in Potapovo is a unique offer for you and your loved ones. 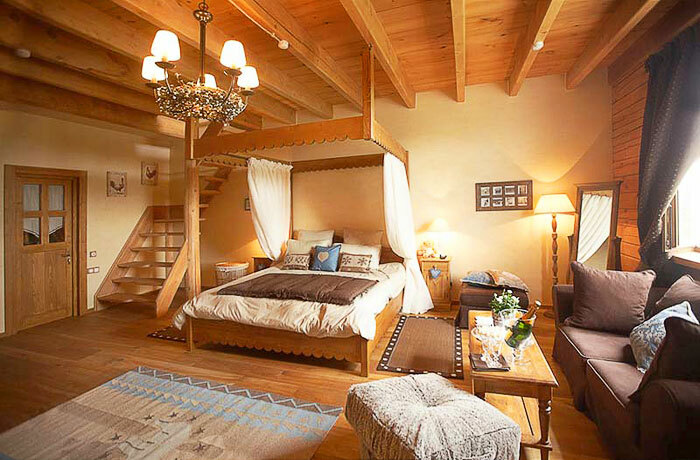 Two guest houses, designed in keeping with the best traditions of Alpine farms, are located on the 20 hectares (about 49,5 acres) of private and secure territory. A vacation on the Farm in Potapovo is an unforgettable experience for your family and friends. It includes three daily meals with local meat and dairy products as well as best service and various recreation facilities. Two beautiful lakes — Ruzskoe and Ozerninskoe — are just five minutes away from us, and right outside the farm there are vast woods and fields . Only being far from Moscow, you begin to feel the true freshness and clearness of the air, the calmness and mightiness of the sky, the charm of natural colors, sounds and fragrances. You can even watch the stars — a pleasure, usually hardly available because of the big city lights. We have a special one-day package offer for kids and their parents, which includes a farm tour, lunch, horse or pony riding, or carriage riding. Farm in Potapovo is a unique and picturesque nature spot, perfect for spending time among family and friends. You are going to feel safe and calm all along your visit. 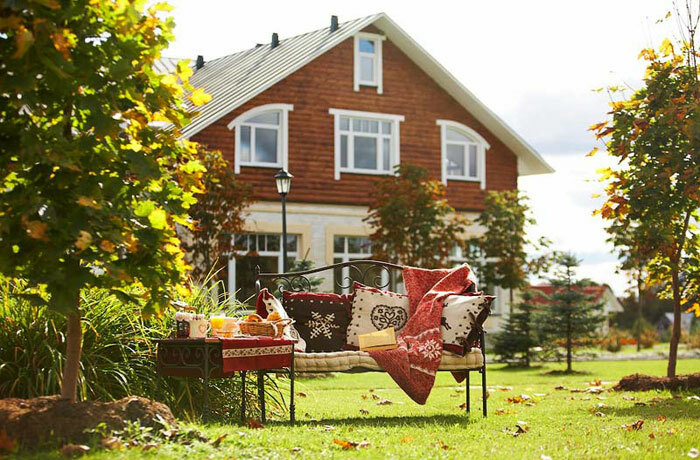 Farm in Potapovo is a place where you learn the true art of rest!